Single origin beans gourmet coffee has become extremely popular among coffee drinkers over the past few years. Like a fine wine, coffee beans have different flavor profiles and nuances according to where they are grown. For true coffee purists, a bean can taste different from plantation to plantation in the same region, just as a cabernet from one winery in Napa Valley can taste different from another just down the road. But what do all of these terms mean? In reality, the concepts are pretty straightforward. Single origin means that the coffee beans come from one specific growing region. Many aficionados believe that single-origin coffees capture the true essence of a specific place. The most coveted beans are those from ideal growing regions, such as Hawaiian Kona, Guatemalan Antigua and Ethiopian Yirgacheffe. Estate coffee goes beyond the single-origin designation and comes from a single estate in a region. Micro-lot beans come from a single field on a single farm. These two types of coffee have their own distinctive characteristics, particularly when they come from a top-notch estate in an exceptional growing region. 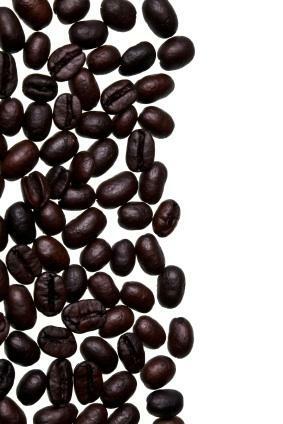 Most of the world's coffee drinkers drink blends of different beans. The companies who create blend coffees combine a variety of beans to create a smooth or robust brew. What Defines a Single Origin Coffee? The soil in which the coffee plant grows can determine the flavor of the beans produced by the tree. Similar to wine grapes, different pH levels, mineral contents and what crops are grown next to the coffee will have an impact on the taste and aroma of a single origin coffee bean. For example, if a coffee plant grows near a pepper tree (as they often do in India), the coffee will take on a spicy undertone. Plants grown in Mexico or South America in close proximity to cacao trees will have a slight nuance of chocolate. Two key species of coffee are grown throughout the world. The Arabica beans grow on trees is more difficult to cultivate and has a more preferred flavor to its cousin, the Robusta bean. Arabica beans usually command a higher price on the market.Robusta beans grow on wild shrubs, which produce a higher yield of beans. However, robusta beans sometimes don't taste as smooth as the Arabica variety. Altitude plays a significant part in the taste and aroma of a particular type of coffee. Usually, the higher the altitude the better the coffee. An even more important factor is the method of processing the beans once they are harvested.Coffee plantations that take care of their beans and properly ferment and store their crop will produce a better tasting coffee; however, there are many farmers who cut corners, and hasten the fermenting process or store the beans improperly. Ethiopian Limu: Grown in the Limu area and known for its sweet, spicy/winey flavor and balanced body. Antigua Guatemalan: Grown in one of Guatemala's premier coffee growing regions high in the mountains. Classic flavors are dark chocolate, caramel and smoke. Kenya Afrique: Grown at high altitudes in Kenya's Kirinyaga Valley. Hawaiian Kona: Mellow and sweet with a nutty character. Grown in Hawaii's legendary coffee region where the trees thrive on the island's steep volcanic hillsides. You should be able to find some great single origin coffees at your local grocery store. However, if you would like to explore some other types of high-end coffee that aren't easily available, check out the websites below.